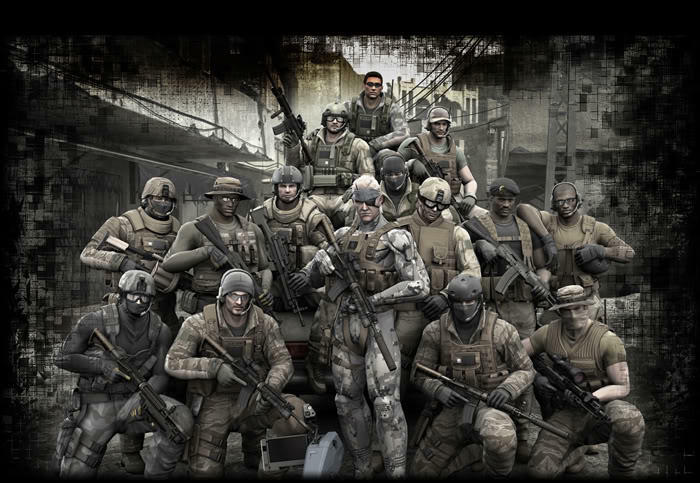 Metal Gear Online was a fun little experiment which brought the franchise's mechanics into an online experience. As an early release for the PlayStation 3, before online multiplayer became the accepted norm, it didn't do that well, but it did score a lot of passionate Metal Gear fans who were heartbroken when it was all taken down in Feb. 2012. Don't get too attached to your favorite multiplayer modes anymore, kids. That's all I'm gonna say. Well, you can bet that these fans were ecstatic when series creator Hideo Kojima announced it was coming back in Metal Gear Solid V: The Phantom Pain, and we'll get to see how much has changed next week when it premieres at The Game Awards. Host Geoff Keighley has confirmed that Metal Gear Online will be debuting during his show in Las Vegas, and Kojima will be along to show it off. I never got into Metal Gear Online, so I have no emotional connection to it other than I am sad I missed out. All I really remember about it though are these incredible human cannons which were able to launch characters across the map, into or out of danger. I really hope these make a return because they blend nicely with the parachute extraction's goofy sense of humor. Stay tuned for more information next Friday.